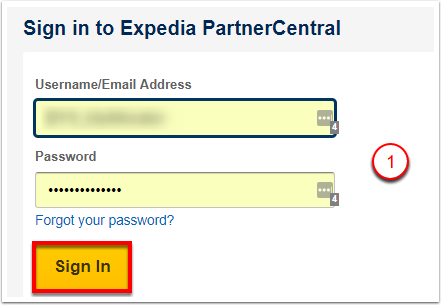 To connect Expedia to myfrontdesk follow the instructions below. 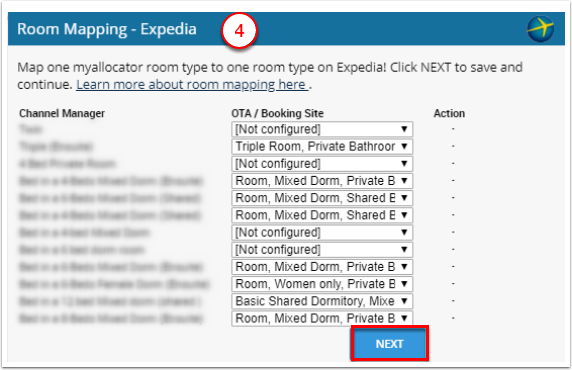 Keep in mind that myfrontdesk will not import past reservations from before Expedia was connected as a distribution channel. These must be added manually as "third-party" reservations. 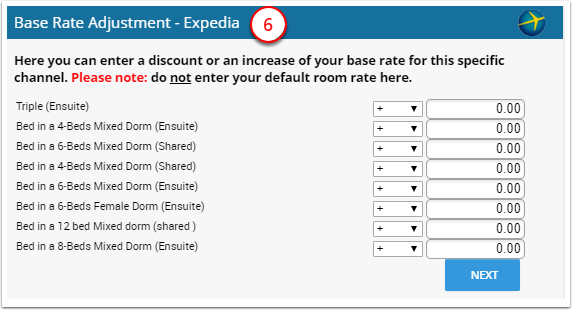 All of your rates and room types must be setup in myfrontdesk before requesting for your channel to use myallocator. Do not perform these instructions until you are at the end of the distribution setup stage and ready to go live. 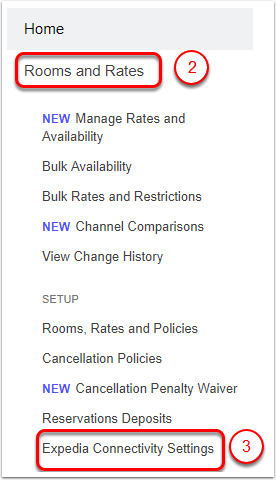 Since the channel manager myallocator can only control one Rate Plan, we always recommend that you select the "Default" or "Standard" Rate Plan on this screen. The Default Rate is always the first (top) rate presented. It's strongly advised to send a full refresh now to make sure that availability and rates are fully updated on the channel. Please, click on 'Full Refresh' on the top right of the page.